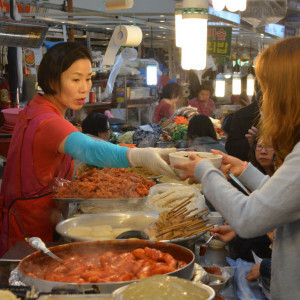 Outside of perhaps K-Pop, Korea’s best-known and most beloved cultural export is its food. 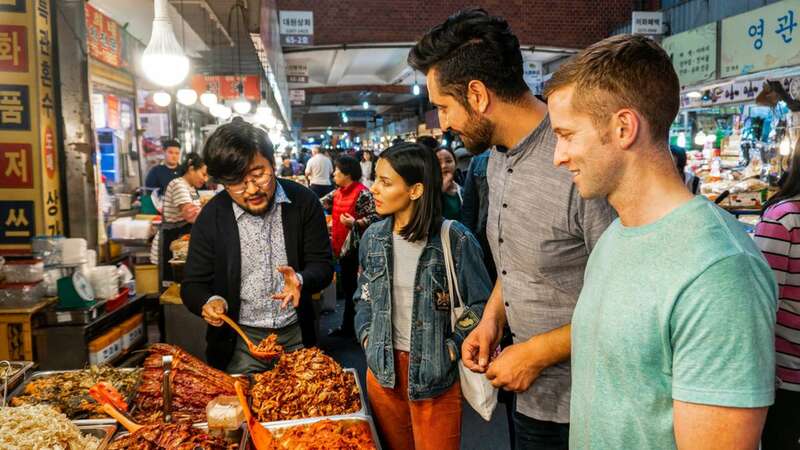 Sink your teeth into the distinct flavors and traditions of Korean food on this Seoul Food Tour, in which we join a local culinary writer, chef, or expert in Korean cuisine for a visit to Gwangjang Market, also known as Seoul’s largest ‘meokjagolmok’ (food alley). 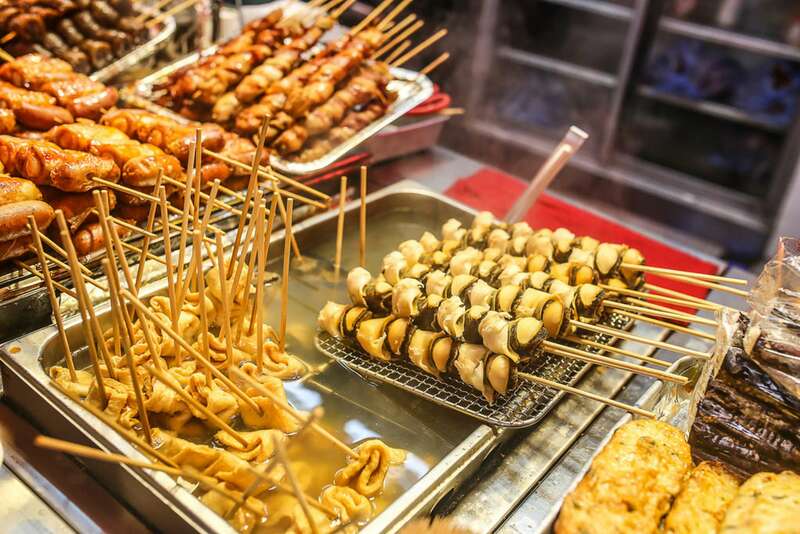 We'll plunge into this buzzing culinary hub, experiencing traditional Korean food and culture all in a 3-hour eating extravaganza. Starting at the renowned market, located near the city center, we’ll also sample bites in another of our docent’s favorite locations for additional culinary exploration and an insider touch, tasting all manner of Korean delicacies and local favorites along the way. 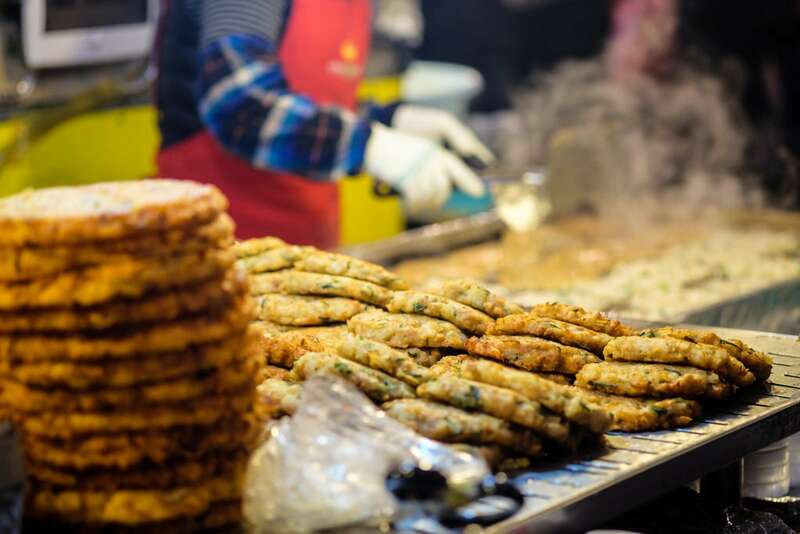 Our Seoul Food Tour is much more than a delicious romp through Korean food; in the company of a local expert, we will cover a range of culinary topics from ingredients, to the history of the market, to an explanation on Korean tradition and cooking. We may kick off things with a raw beef or live squid bibimbap as we sit down, go over the plan, and sort how adventurous our palates are. 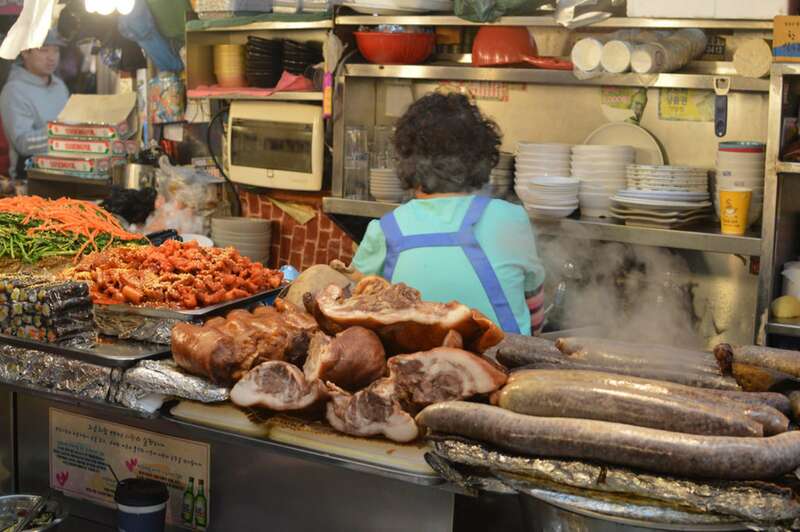 As we head to the market and wander through its narrow streets, our docent will point out and explain the array of sights and smells we encounter, from kimchi, to pungent dried fish, to steaming pots of vegetables. 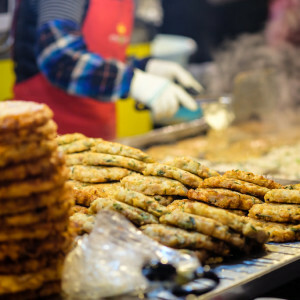 Our route will take us to a range of stalls and street sellers to sample celebrated Korean items from Mayak Kimbap (Korean sushi rolls), to Mandoo dumplings, to live squid bibimbap. 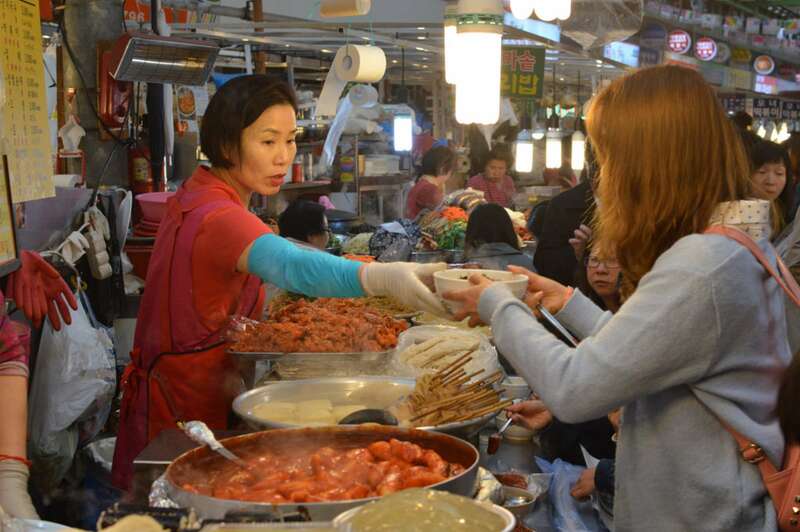 As our docent selects what will be on our Seoul Food Tour tasting menu, we will learn more about how, why, and what Koreans eat on a daily basis, and the importance of markets in this culinary conversation. We will dive deep into explanations of Korean culture, explaining some of the history behind the various dishes and methods of cooking. 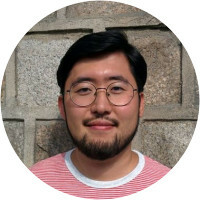 We may well discuss pork belly, intestines, and hangover soup as a real treat for Koreans (originating from the Japanese invasion) and the evolution of Korean spicy food, which has not always been a theme in Korean cooking. (Keen for a casual quick meal with an expert? Why not try our Seoul Night Tour which ends with a bowl of bibimbap in Hongdae). Before we move on from Gwangjang Market, we may drop in on a stall known for its rice wine, a hallowed Korean tradition. As we take a sip, our docent will touch on drinking tradition and the working culture in South Korea. Moving on to the next location, we’ll note that these markets aren’t simply sources for meals and ingredients, but also offer a range of clothing and accessories that reflect a distinct Korean take on fashion. 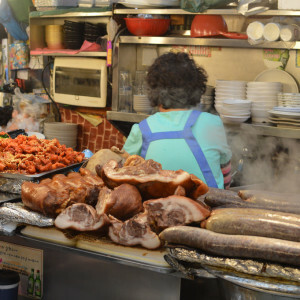 As we head to a nearby neighborhood less frequented by tourists, we will see locals nestling up together over bowls of noodles and beef broth. Our docent will be able to comment on what we are seeing, and tasting, how they're prepared, and how to go about ordering on our own before sampling a few delicious dishes, from noodles, to rice cakes, to sweet desserts. 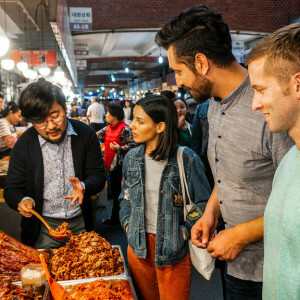 By the end of our Seoul Food Tour we'll have a well-rounded introduction to the different types of Korean markets and their role in Korean culture, leaving with the right tools to navigate markets on our own. 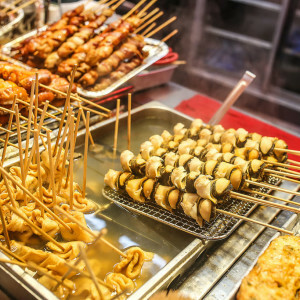 For those looking to delve further into Korean food, we also offer an Seoul Night Tour which visits a couple of traditional Korean restaurants for an annotated evening dinner. Will you be able to accommodate those with allergies or dietary restrictions? We do our best to accommodate everyone but please let us know any dietary requirements in advance. The best thing to do is let us know when you book if anyone in your party has allergies or dietary restrictions. We can check in on dishes, think up other options, and do everything possible to ensure you enjoy your tastings. Hana was born and raised in Seoul and started her professional career as an IT engineer. After some time abroad, she realised this was not her calling and decided to become a tour guide and docent. She obtained her tour guide license in 2014. 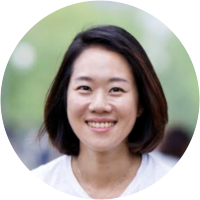 As a traveler to 100 cities in 30 countries, she has returned to Seoul with an intriguing perception on her city and what might interest those coming to South Korea, regardless of age, gender or age. 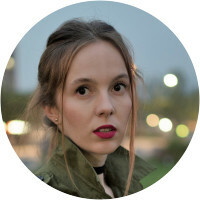 From UNESCO sites and local traditional markets to the happening nightlife, k-pop, shopping and the amazing variety of food, she allows her clients to experience different facets of the city. Evan was terrific: intelligent, highly knowledgeable and fun to be with, and therefore an excellent guide to the world of Korean food. We really, really loved our morning with him!! No improvement needed here. We had an amazing time with Evan. He was so knowledgeable and friendly and considerate of our special requests. He introduced us to delicious cuisine as we toured different areas of Seoul, all while learning the history of each place and type of food. He was an excellent tour guide and the tour was exciting and interesting and enjoyed by all!! Great experience!! Thank you so much. ?? Evan provided us with a history of the culture, traditions and foods and allowed us to gain a greater insight into this country and its layers.